Kitchen Remodel, Asheville, NC | Off Duty Fireman Construction Inc.
'); // });Kitchen Remodel, Asheville, NC | Off Duty Fireman Construction Inc. Hire us for your kitchen remodel in Asheville and expect exceptional results from our team. Your kitchen is the central hub of your home. Here, you cook, dine with your family, help your kids with homework, plan for the week, and the list goes on. If your kitchen is outdated and cramped or the layout just doesn’t make sense, let us at Off Duty Fireman Construction Inc. add value and beauty to your home by remodeling this space from top to bottom. Our kitchen remodel services are highly comprehensive and include cabinetry and flooring and everything in between. When you turn to us, we’ll listen to your plans and make sure we fully understand what you need and want out of our kitchen remodel. When everything is finished, we are confident you’ll be more than happy with the final result and the quality of our workmanship. We realize that during a kitchen remodel, it’s hard to live in your home and go about your days like normal. 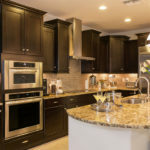 Since we realize you want your kitchen to remodel finished as soon as possible, our polite, driven, and qualified team will work quickly, while at the same time ensuring quality isn’t compromised. Before you know it, the kitchen of your dreams will be ready for you to use. There’s a reason why people in the Asheville, North Carolina area continue to turn to our team when they want a kitchen to remodel done. To find out more about what sets our remodeling services apart or to schedule a consultation, give us a call at Off Duty Fireman Construction Inc. today. At Off Duty Fireman Construction Inc., we perform kitchen remodels in Asheville, Waynesville, Hendersonville, Black Mountain, Arden, Maggie Valley, Charlotte, Lenoir, Hendersonville, and Winston-Salem, North Carolina.